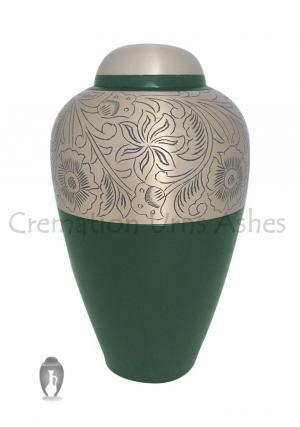 Floral Etched Antique brass Cremation urn is made of solid brass engraving with antique semi etched floral presence in gold. The other part of large adult is enamelled in forest green. 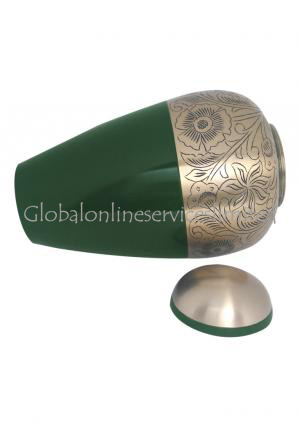 The complete engraving is covered half in green and rest in gold floral presence. 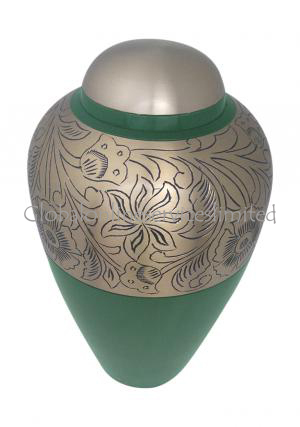 The Floral Etched Antique Brass Green Memorial Urn has a dome top lid finished in gold and brushed well with smooth finish. 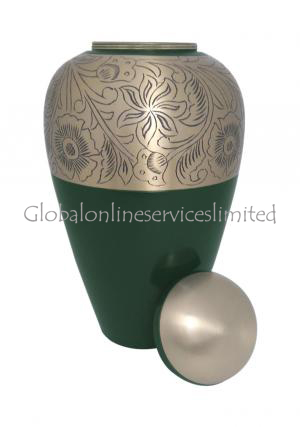 The lid of urn is decorated with screw threading to secure the ashes of loved one’s. 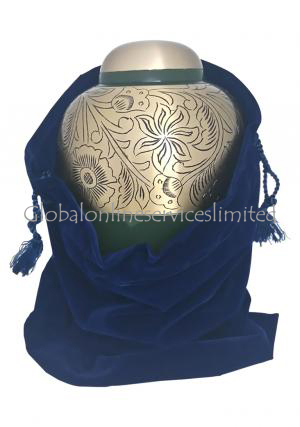 The Floral Etched Antique brass urn has the volume space of 200 cubic inch and stands tall with 11 inch, width of 6.7 inch that weighs 2 kg.